If you're self-conscious about an out-of-character shade on some of your teeth, teeth whitening could be a suitable remedy for you. We have discussed below some of the most common teeth whitening procedures with the hope you will find one that perfectly suits your needs. A teeth whitening toothpaste may be recommended if the stains are only on the surface of your teeth. Mostly, these are stains from habits such as smoking and drinking coffee accompanied by poor oral hygiene. If you obtain your teeth whitening toothpaste over the counter, ensure it has the American Dental Association (ADA) seal of approval. These peroxide-based products are also used for stains that don't run deep beyond the enamel. Gels are smeared directly on your teeth using a brush while strips are carefully placed on the surface of your teeth and left to stay for approximately 30 minutes twice a day. The strips are made of a clear material to ensure they remain discreet when worn. 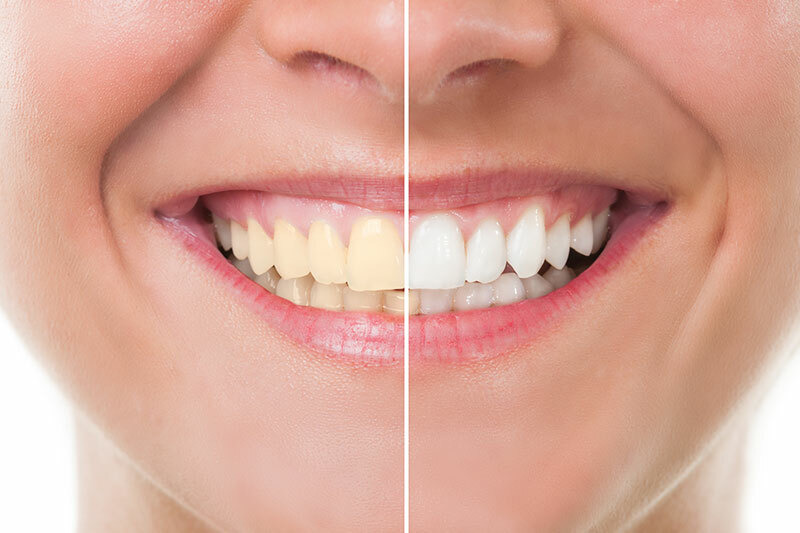 Bleaching is arguably the most popular and effective method of teeth whitening. It makes use of gels that contain stronger agents and generally promises more effective and longer lasting results. The active compound in most bleaching agents is carbamide peroxide which is friendlier and less irritating to surrounding gum tissue and bones. For agents that have a higher concentration of hydrogen peroxide, a buffer is used to prevent corrosion. Where is teeth whitening performed? Teeth whitening procedures are typically carried out at the dentist's office in a single appointment. The time you spend at the office will be determined by the number of teeth that need whitened, the extent of the stain and the specific procedure used on you. Call Mark Luzania, DDS today at 559-638-1777 to schedule a teeth whitening appointment with our qualified dentist. We're also open to walk-in visits at our office in Reedley, 93654.